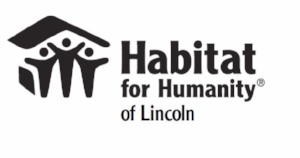 Habitat Lincoln brings people together to build homes, communities and hope. We build strength, stability, and independence through affordable housing for low-income families. $25 buys nails used to build a Habitat home. $50 purchases two cans of paint. $100 purchases a window where mom watches the kids play outside. $200 buys the doors for the childrens' bedrooms. Abdelkarim, Sailwa and their four sons, Mohamed, 11; Ibrahim, 9; Salih, 7; and Ahmed, 2, have been renting their three-bedroom, 1 bath home since 2010. The home has a lot of structural damage and the landlord doesn’t take care of the landscaping. The family takes care of the lawn and trims low hanging branches, but during heavy winds a tree branch fell and landed on their car breaking windows. The family of six shares one bathroom with no exhaust fan. The A/C does not work; there is one window air conditioning unit that works in a bedroom. The family sleeps together in the room when they need to cool off in summer months. The windows are hard to open to let in any fresh air and the home has a slight moldy smell. The basement is unusable because of a hole in the wall. The family battles against insects, spiders, mice and snakes. They’ve tried to get rid of the problem with traps and home pest control but the problem remains. Their youngest son was potty-trained until he saw a snake in the bathroom. He is now frightened to use the bathroom, especially alone. The home was one of the worst in terms of condition that the selection committee visited. Abdelkarim works as a taxi-driver in New York City half of the year and attends Southeasts Community College in Lincoln the other half. He makes enough money in NYC that while he is back in Lincoln he can attend school full time. He is studying Business Administration with the goal to transfer his credits to Bellevue to become a CPA. Sailwa works part-time at Goodwill, manages the home, and takes care of the kids. Abdelkarim and Sailwa applied for the Habitat Homebuyer Program so they could build a future for their children. They need a safe, decent home to raise their growing sons. They look forward to being good neighbors by taking care of each other, helping each other out, and becoming part of the family.